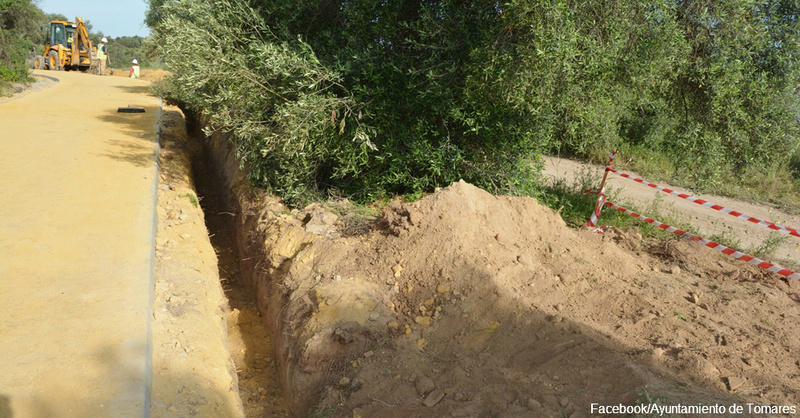 Construction workers laying electrical wiring for a park in the Andalusian region of Spain made a startling discovery about 3 feet below the surface of the ground in the city of Tomares. When the ground refused to give way as usual, workers knew something was amiss. 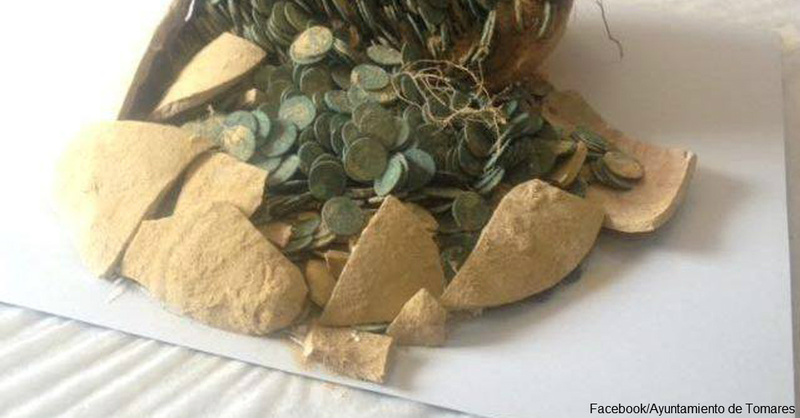 Archaeology experts believe the crew found a massive hoard of ancient Roman coins. 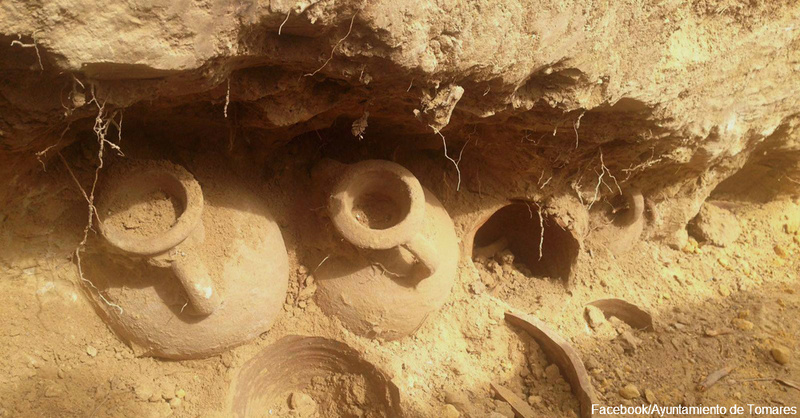 Construction workers unearthed 19 amphoras, or clay jars, filled with bronze coins dating back to the 3rd or 4th century A.D. Ten of the jars were broken due to the digging of the trench for the electrical lines. The other nine jars were fully intact. All 19 of the amphoras were completely filled with coins. The haul amassed 1,300 pounds, and it was impossible for just one person to carry away the coins. The currency depicts emperors Constantine or Maximian on the front, with Roman allegorical stories on the back. The unique find is extremely rare for several reasons, one of which is that the coins apparently did not circulate, based on the lack of wear on the metal. Roman legions invaded Spain in 206 B.C., and Roman culture influenced the area for the next 700 years. Andalusia, the region of Spain that contains Seville, was one of Rome’s richest colonies. Someone may have hoarded the coins to pay taxes to the Romans at the time of the occupation. Researchers aren’t exactly sure how or why the coins were stored in the amphoras, or why someone would keep such a large stash of cash. The coins are bronze, but some of them appear to have been dipped in silver. The region’s Ministry of Culture plans to conduct archaeological research at the site to see if historians can discover any more signs of ancient Roman activity. Local officials called the find hugely important. Officials said it was impossible to place an exact monetary value on the hoard, but did say it was worth at least “several million euros.” In May 2016, 1 million euros are worth $1.14 million, so cultural officials have a very valuable find on their hands. This massive stash of coins shows that historical surprises can hide right under our feet, just waiting to be found. These Roman coins may be truly rare pieces of antiquity that add to the mystique of the hugely influential empire. Take a look at these top 10 rarest coins the world has ever known to see how the Spanish stash stacks up.